TDC is an Australian-based OB truck company that has been in business for more than 35 years and continues to be incredibly influential in the LED projection, broadcast and touring markets. The company is extremely diverse, and over the years, TDC has worked events that range from live concerts, festivals, award shows and floor shows to reality television, sporting events, live broadcast and more. We are not limited to any one type of genre but open to a wide variety of applications within the market. In fact, that’s one of the most interesting things about TDC: one day we can be working an awards show and the following weekend, we could be covering a large, outdoor festival. For that reason, our trucks need to be incredibly flexible. They’re designed to be fast and easy to set up so we can quickly move from one job to the next without missing a beat. A key ingredient to making the trucks so flexible is having the right gear inside. Back in the day, when I worked for Australia’s Channel 7, I used Miller Tripods religiously. TDC, too, has used Miller for quite some time. 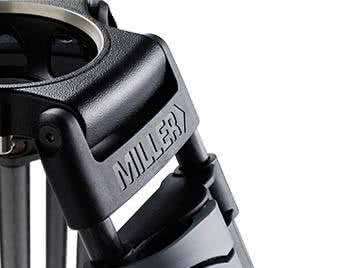 It’s a long-standing relationship based on a number of important considerations, namely the fact that Miller is an Australian-owned company that also manufactures its products here. That’s extremely important to TDC, also an Australian company. We know that if we’re working a job and something goes wrong unexpectedly — say we lose a part or something breaks — Miller can deliver a solution to us that same day. The company has stock on the shelf, and if the stock is not there, the staff can still manage to deliver it that afternoon. Miller has an impressive factory, and an equally impressive family of products. 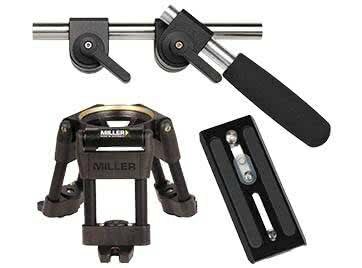 Here at TDC we use the full range of Miller’s tripods and pan and tilt heads. 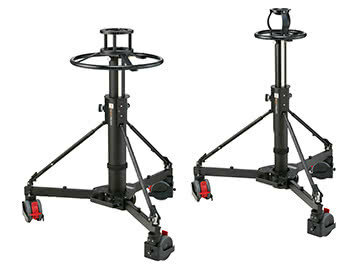 We also rely heavily on nine of the company’s Arrow 55 HD 2-Stage Carbon Fibre Tripod Systems, as well as four of the HD MB 1–Stage Tripods featuring alloy legs with a mid-level spreader. I think our decision to use the Miller product line comes down to two essential things: quality and service. For us, the company’s product lines offer the smoothest fluid head pan and tilt. The tripods are just so well made. The quality of the workmanship and overall quality of the products are incredible. 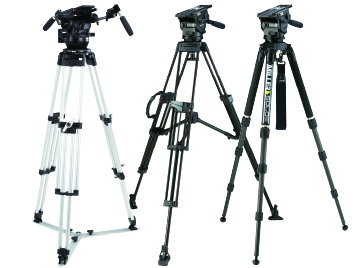 The Arrow 55 system, for instance, combines the 100mm ball-leveling Arrow 55 fluid head, featuring a 7+0 position fluid drag system, with a rugged HD tripod. 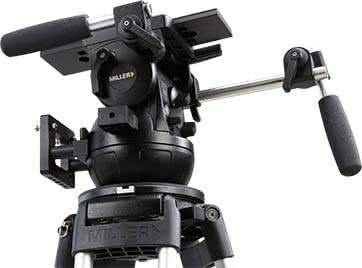 The HD MB 1–Stage Tripod features adjustable flip locks for quick setup and easy maintenance while also offering stable studio camera support. Aside from the quality, the company’s outstanding service is second to none. You can have one of the best products in the market place, but if you can’t back that up with good service, then you leave your customers hanging. With Miller, the service is consistently first class. 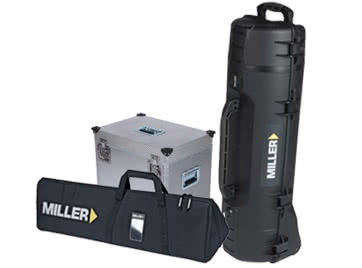 Recently, we relied on Miller’s solutions — along with a combination of Sony HDC-1700 cameras, Sony HDC-4300 cameras, and a full range of FUJINON lenses — for a number of high-profile events. These included the Hillsong Conference, one of the largest church gatherings in Australia, on the PGA Tour of Australasia golf tournament in Fiji, and exclusively on the 2015 Sydney Darts Masters in Sydney. For the PGA Tour event, the company’s lightweight carbon fiber tripods really excelled. The first three days of play took place under chronic conditions next to the ocean; there was lots of salt thrown into the mix. But the tripods stood up to the conditions. Cameras typically will have a wet weather cover, but it’s not normal to have a wet weather cover for a tripod or a tilt head. They’re always in the elements — and Miller’s tripods really handled them perfectly. All this makes us quite proud to be associated with Miller through its products, and we’re very happy to be supporting an Australian company. But above all, I think it’s the outstanding service and quality that make Miller second to none.